Pink Ink and Polka Dots: Shout Out to an Angel of a Blogger! 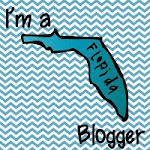 Shout Out to an Angel of a Blogger! I wanted to thank, Crystal, from Kreative in Kinder. She recently was part of a giveaway hosted by Laura at Kinder Kraziness and I was the lucky winner of this giant giveaway. All of the bloggers (Mary from Mrs. Lirettes Learning Detectives, Erin from Eberhart's Explorers, Kerri from Ms. Kerri and Her Krazy Kindergarten, Michelle from Run! Miss Nelson's Got the Camera, Jessica from Under the Apple Tree, Kimberly from her TpT store For The Love of Teaching, Misty from Think, Wonder, Teach, Tangelia from Buggy in Kindergarten, Shuna from Pocket Full of Kinders, and Michelle from No Monkey Business ) were so nice and sent me my winnings, which I have to say, are all AMAZING! I think I am set for the new school year. I was torn between 2 items from Crystal and had a hard time choosing, but I did choose one that would help me in an area that I really don't like (science, ughh). Well, this angel, sent me both files! I don't even know what to say, so I thought it would be nice to recognize her here on my little ole blog. I don't think non-bloggers understand the family that we have created here. I don't know any of my followers personally, nor do I know the people that I follow, but our journeys have intertwined with one another and I can honestly say that I do consider all of you a very special family. It is the same with my mommy blog family, we all have stories to help each other with the woes of motherhood and I have bonded with many moms, who also happen to be teachers. So I get the best of both worlds, just for being a blogger. I am going to ask you to pay it forward by recognizing a blogger who has done something special for you, just because. We are blessed! Crystal is great isn't she. She sent me her fall literacy centers pack last fall when I left a nice comment for her. It just warmed my heart. It is a special community we have here in our bloggy world.